RPG players rejoice. 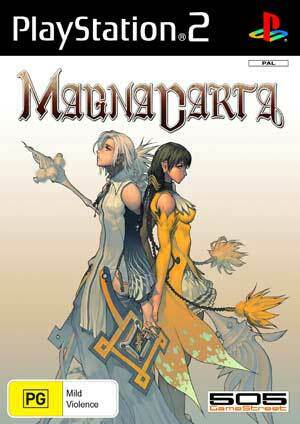 For those who are hankering for some role playing goodness on the PS2, Magna Carta has hit the scene with a gameplay experience that will take you over the 35 hour mark, making it very good value for money and quite a good game to boot. Playing the role of Callintz, you are part of a mercenary group known as the Tears of Blood waging war against their enemy, the Yason. 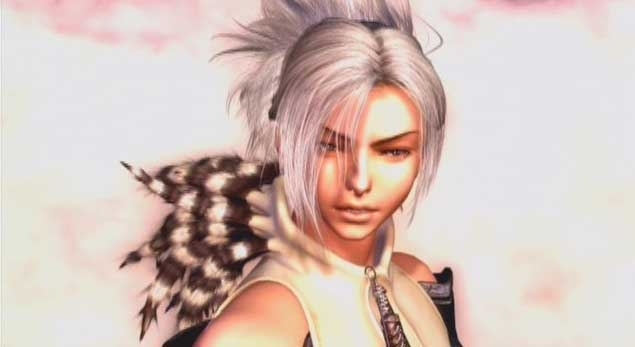 The game is well carried out through battles and some impressive CGI movies that harkens me back to the majesty of the Final Fantasy series. The title intersperses magic and science, with your abilities being enhanced along the way with the experiences that you have. A menagerie of fantastic supporting characters enhances the overall gameplay, with a host that your character will identify with and actually care about. The game is pretty linear with no free roaming involved whilst the title drives you ever onward to wherever it is that you are headed next. Straying from the path will result in a character telling you to get back on with the game, sort of like a friendly invisible wall, unlike a racing game where you just have to bounce magically back onto the track. It does get annoying though at times. Bizarre creatures and even more bizarre characters pervade the gameworld that you live in. Themes are pretty heavy handed in the game and there are many plot twists and turns that you will have to deal with in your quest to work out what is right and wrong in the world of Efferia. Betrayal plays a large role in the title and ultimately Callintz must choose who is right and wrong and whether the war is just. Graphically the title is nice enough to look at though paling next to the CG movies that propel you along. At times some of the colours are a little muted and washed out, but for the most part all is fine. Magna Carta does have some problems with the in game camera at times that does not allow you to fully enjoy some of the odd countryside and its denizens. The score soundtrack is great and the overall sounds of the title certainly do it justice. Battles are quite stilted with a series of buttons that need to be pressed in order to attack. Depending on the timing of your button pressing will determine the sort of attack that you can undertake. Even when travelling with a party, you will control one character for the battle and when in a leadership position, a leadership gauge must be filled for characters to attack on your behalf. The less trust in your group, the harder it will be to get the others to stand up for you in battle. It’s a neat approach but make sure that you are good to everyone in your group or you might have some waiting to do before attacking as a united party. This is a good game, that with a bit more development would have been a great game. It’s certainly worth the price of entry and considering how long it will take you to get through, will ensure it will keep you busy for quite some time.